This is a 1930 Parker Lucky Curve BF Desk Set. 2.5″ x 4″ in gold washed metal with convex rounded corners and beveled floral edge. Top of base with rectangular green enamel encircling a floral motif on a white background. 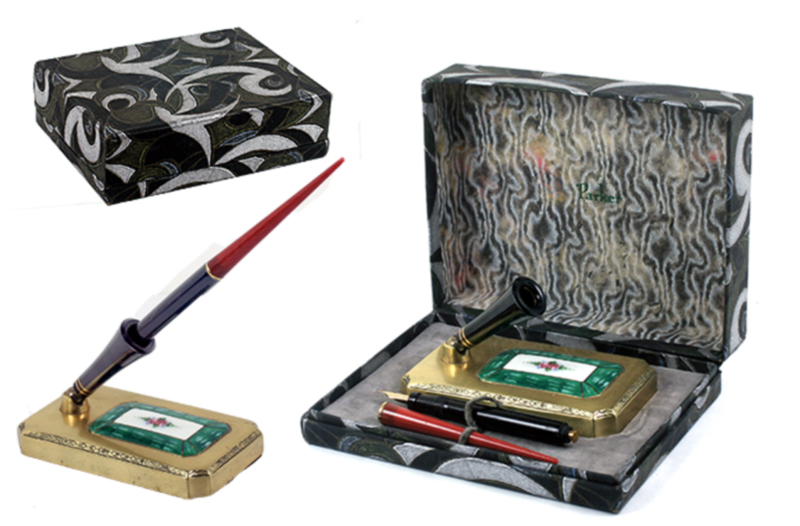 Black pen with Coral Moire taper, highlighting the color of the floral design. 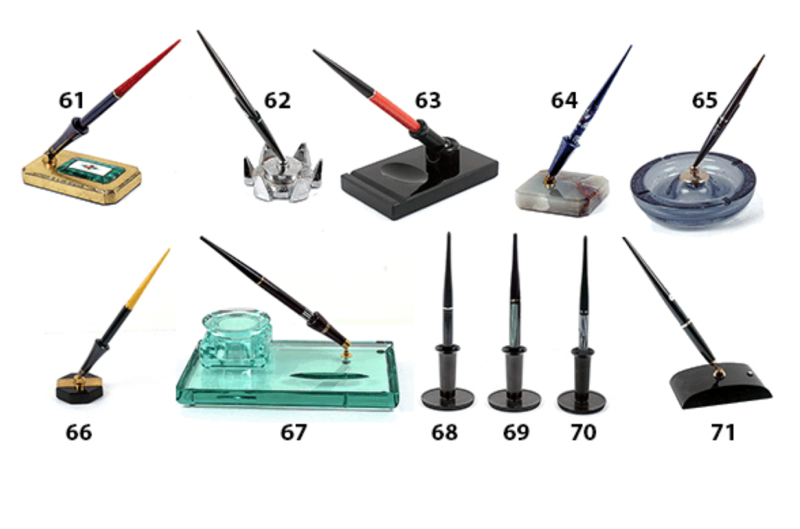 Medium/fine, extra-flexible nib. New-old-stock. Mint in form fitted box, covered with geometric swirls. UPDATE: SOLD. Item #61 in Catalog #85.